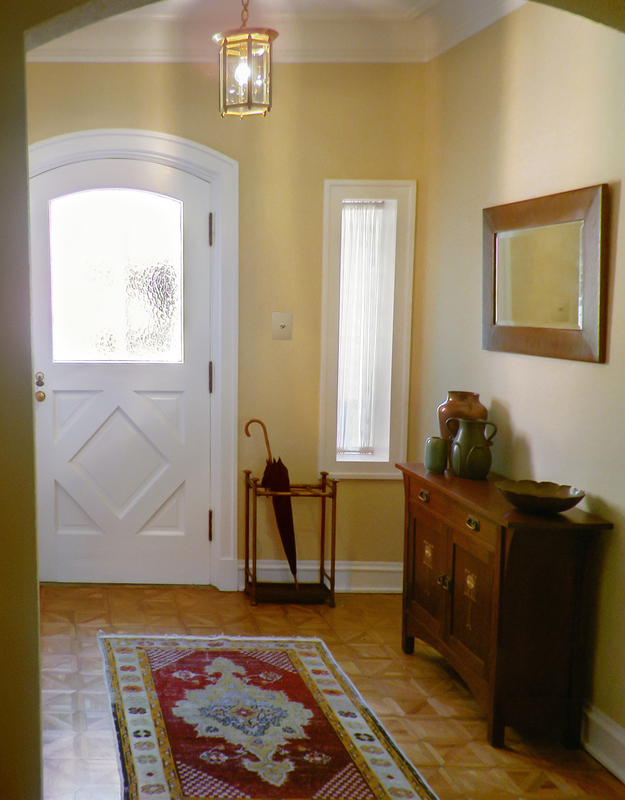 Paying homage to an era in this beautiful Pasadena Arts & Crafts entry. This couple needed a central place to “launch” from, but that was welcoming to guests. We went to work with a Harvey Ellis inlaid chest, Turkish Oushak rug, English beveled mirror, and we lit it from above with a remarkable Petitot pendant, c.1927. The couple chucks their keys in the Arts & Crafts bowl and tucks mail between the vintage vases, for an elegant on-the-go solution.